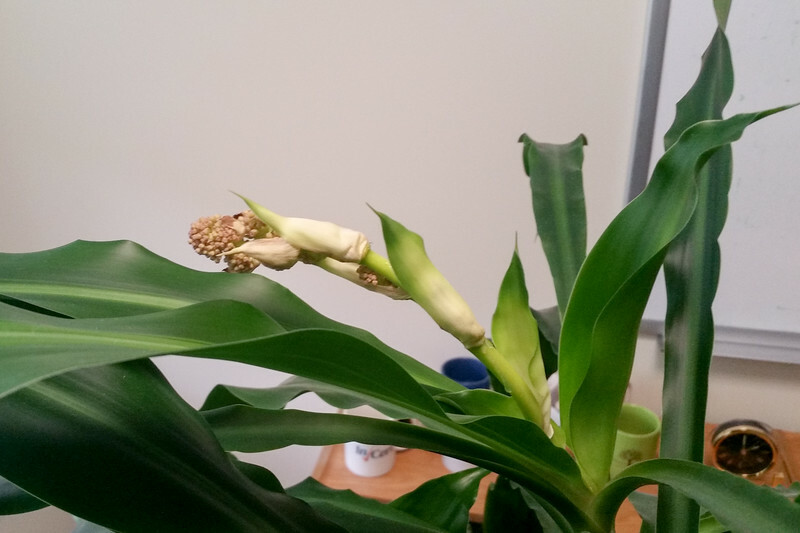 My "Dracaena fragrans" office plant, blooming. This is only the second time I've seen it bloom in ten years, and this time the blooming was much more complete, producing the rich fragrance the plant is named for. The full blooms only lasted one day, but the whole sequence took about three weeks. The flower shoot is a few inches long, and took no more than a day or two to grow to this size.